We celebrate 14 years of GPeC excellency with exceptional speakers – carefully selected based on their extensive experience, so that we can offer you practical and inspirational content to help you develop your online business. ZERO promotional speeches. Browse the list of remarkable speakers who will attend this edition of the GPeC SUMMIT, and keep an eye on our website to discover all the big names, as we will regularly update this page! Karl Gilis is the co-founder of AG Consult, one of the best-known Usability and Conversion Optimization agencies in Belgium. Fed-up with speculation and feel-based opinions, Karl became obsessed with Data-Driven UX and makes website optimizations based solely on research and measurable results, especially since A/B tests allow him to examine the impact of the recommended solutions and of the website changes. Also known as “The Conversion Comedian”, Karl gives a real performance on every stage he hops on, combining – in his unique style – premium know-how with entertaining real-life analogies meant to stir laughter and applause from the audience. Wil Reynolds is the Founder and Strategy Director of Seer Interactive, a company that he set up on his own in 2002 and which today has over 150 employees in Philadelphia and San Diego. Seer Interactive offers SEO, PPC and Analytics services for all types of verticals, from pharmaceuticals, to e-commerce and SaaS. Wil has 15 years of experience in Search Trends and is regularly invited at the most important Marketing Conferences around the world to talk about the Future of Search and Content Marketing. His insights are appreciated and quoted by the most influential specialists in the field. Wil Reynolds is an inspiration to all those interested in SEO, PPC, Content Marketing and Analytics. Gerry McGovern is the Founder & CEO of Customer Carewords and “one of the biggest 5 global visionaries who have contributed to Web development”, according to The Irish Times. Gerry is one of the most respected international experts in Customer and User Experience. He was a consultant to giant companies such as Microsoft, Dropbox, Cisco, NetApp, VMware and IBM. He also advised the governments of the United States, Great Britain, Canada, Norway, Ireland and the EU Department of Digital Unit. With over 15 years of experience in the industry, Gerry is the author of no less than 7 Digital Customer Experience books. His latter title, “Top Tasks”, is a practical guide to improving your customers’ online experience. Gerry is one of the most acclaimed speakers in the area of Customer Experience, often quoted by the best specialists in the field. He keynoted at some of the most important conferences in over 35 countries, and has often been invited to give expert opinion at BBC, CNN, and CNBC. 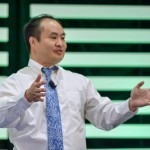 Dennis Yu is one of the best Facebook Ads international experts and keynote speakers, ranking No. 1 in audience popularity at PPC Caesar’s Award 2018. 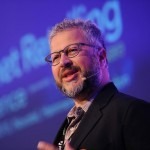 He has given over 730 presentations in 17 countries on 5 continents, at some of the world’s largest conferences, such as: L2E, PubCon, Conversion Conference, Social Media Marketing World, Gultaggen and Marketo Summit. Denis was invited to TV talks and is quoted in the world’s most prestigious media outlets, such as The Wall Street Journal, The New York Times, LA Times, National Public Radio, TechCrunch, Fox News, CNN, CBS Evening News. He is the co-author of “Facebook Nation” – a textbook taught in over 700 colleges and universities and a regular contributor to Adweek’s SocialTimes column and is published in Social Media Examiner, Social Media Club, Tweak Your Biz, B2C, SocialFresh, and Heyo. Ian Jindal is the Founder and Editor in Chief of the famous InternetRetailing magazine and a E-Commerce and Multichannel Retail consultant. Ian is also the founder of the Internet Retailer Conference & Exhibition (IRCE), considered one of the largest E-Commerce events in the world. Together with GlobalShop and RFID Journal LIVE! Retail, Ian founded RetailX – the event that features IRCE and where 20.000 industry participants are expected to attend annually. In 2015, Ian launched InternetRetailing’s ranking UK Top 500 Retailers, expanding the ranking in 2016 to retailers from across Europe – the first ranking based solely on business performance. Ian is one of the finest connoisseurs of the European E-Commerce market, providing access to valuable insights on the market peculiarities, the strategies employed by the biggest players, as well as cross-border and e-commerce development opportunities. Jono Alderson is a Digital Strategist, Marketing Technologist and Full-Stack Developer, with almost 20 years of experience in Web Development, SEO, Analytics, Brand Strategy and Conversion Rate Optimization. Currently, Jono is Special Ops at Yoast – one of the most popular SEO plugins for WordPress around the world. Before joining the Yoast team, he was a consultant for Distilled. In 2018, Jono Alderson has been named SEO World Champion at the prestigious SEOktoberfest conference and Best SEO Specialist by Serpstat – one of the most popular SEO, PPC and Content Marketing platforms in the world. Over the past two decades, Jono has worked with numerous companies – from start-ups to international corporations – helping them optimize their websites, implement appropriate growth strategies and expand by acquiring new markets. Founder & Business Director FOUND. Hannah Thorpe is the Founder and Business Director of FOUND. – a multi-awarded Digital Marketing agency based in UK. With over 5 years experience in Search, Hannah has designed and managed a series of successful online campaigns for well-known brands in the UK and around the world, such as: Twinings, Le Creuset, And So To Bed, M&G and Elsevier. Combining SEO techniques and Content Marketing, Hannah specialized in creating innovative and data-driven Performance Marketing campaigns to maximize the ROI for the agency’s customers. Steven Hoober is one of the 4 best Mobile UX experts in the world and CEO of 4ourth Mobile, company in which he acts as Mobile Strategist and Interaction Designer. Steven is the author of Designing Mobile Interfaces: Patterns for Interaction Design and internationally acclaimed for his Mobile UX studies that investigate the way customers really use smartphones and tablets. With over 20 years of experience in Mobile Usability, Steven is the creator of Google’s mobile search interface, the first ever mobile app for an online shop (Sprint), mobile browsers and browser components currently used by Samsung for its own mobile devices, the mobile version of the Weather.com website and the mobile apps for US Bank and Hallmark. Steven Hoober is also a regular contributor at UXmatters and UX Magazine, and runs numerous training sessions, workshops and online classes on User Experience for mobile interfaces. Alex Dona is a notable player acting for 12 years in the communication industry. With a large experience in TV, print, BTL and digital, Alex created brands and communities mixing online and offline strategies. He likes to say that he became a cross-platform specialist in play. His belief: “a strong brand is not afraid to defy the ordinary”. 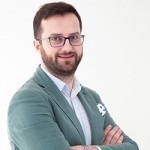 Cristian Ignat is the Co-Founder and CEO of Aggranda, a company that saves time for people and businesses with help from software robots developed using the UiPath platform. Aggranda is a brand recently launched by Canopy, thus separating the RPA (Robotic Process Automation) services from the PPC (Pay Per Click) services offered by the agency. 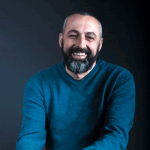 Valentin Radu is an entrepreneur with 15 years of experience in Technology and Online Marketing. He is the Founder and CEO of Omniconvert, a multi award-winning conversion rate optimization platform. Valentin is also known for his contagious positive energy, creativity and know-how in marketing and business. He is an international speaker frequently keynoting on E-Commerce, Conversion Optimization and Growth Hacking. Get your GPeC SUMMIT access ticket with a special discount! Seize the Early Bird Offer valid until May 16, 2019, at 23:59 and book your seat at GPeC SUMMIT with a special discount! Learn everything important in E-Commerce and Online Marketing on May 27-28 at GPeC SUMMIT – for 14 years, the most important event in CEE.